As a prospective member you may ask yourself why should my club join Karate Alberta. There are several benefits for both small clubs and large style association. You become a member of the World Karate Federation (WKF) which is the only Karate organization that is recognize by the IOC. Access to world class coaches and officials outside of your style association. Access to Officials courses and opportunities to become nationally/internationally certified. It is a policy that all Head Instructors complete a police check including a vulnerable person’s check. Children’s safety is an extremely important value within KA and all it’s members. This policy is in place to help ensure that this value is enforced. By being a member of KA you can prove to parents of prospective students that your club holds these same values. 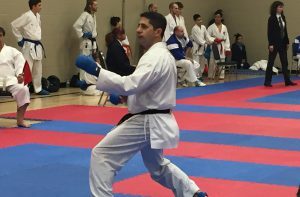 Karate Alberta (KA) is the only government recognized association for Karate. By becoming a member of KA your club will stand out over other clubs. With a Karate club on every corner our membership will give your club that extra level of certification. If you are interested in joining visit our How to Join page.